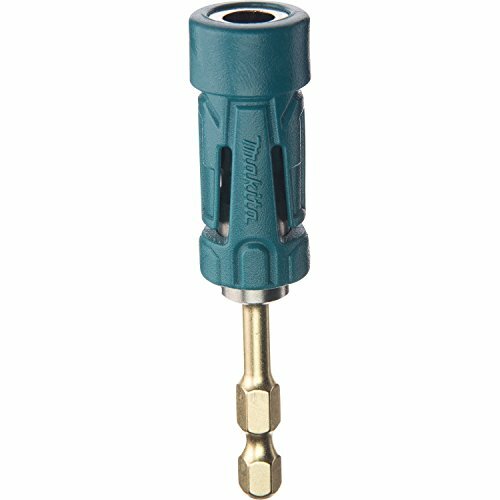 Makita Impact Gold is new innovation in fastening with a full line of insert bits, bit holders, nutsetters, socket adapters, and more. Impact Gold is designed exclusively for use with high-torque impact drivers, and is engineered to last up to 10-times longer than standard insert bits. Impact Gold Insert Bits feature Xtreme Torsion Technology, which allows the torsion section of the bit to flex under load and take pressure off of the bit tip for increased durability in high torque applications. High-strength steel delivers longer bit life, and the precision-fit tip is engineered to prevent "cam-out" and stripping. Makita Impact Gold is designed exclusively for use with high-torque impact drivers, and it is ideal for the most demanding jobs including deck building, framing, installing plywood subfloor, and more. Bosch impact tough impact driver bits have been upgraded to deliver 10x life over standard impact bits. With an xtended torsion zone, precision engineering and heat-treated manufacturing process, these bits deliver tough torque and power for longer and with less cam out. 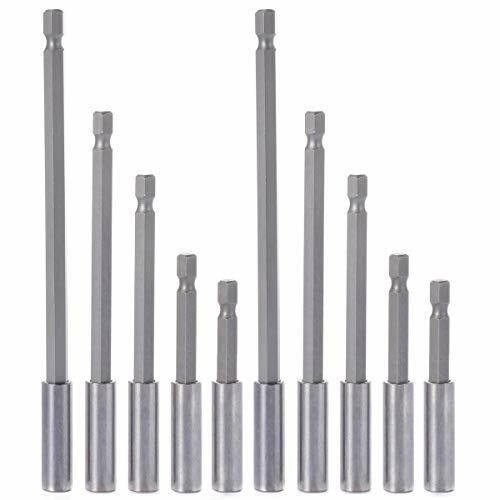 These impact tough bits are an impact-rated line of screw driving bits, double-ended bits, nut setters, sockets and bit holders that have been enhanced to handle a new generation of higher torque impact drivers. These bits also come with high-visibility sleeves for greater user convenience. DeWalt Products Company was formed in 1922 in Leola, Pennsylvania. The first product was an electric universal woodworking machine known as the DeWalt "Wonder-Worker." 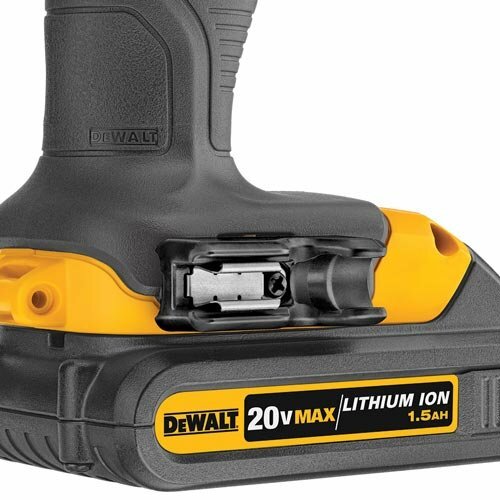 Today the DeWALT Power Tools line consists of over 200 electric power tools and over 800 accessories including: drills and hammer drills; screwdrivers; circular, chop, miter, table, reciprocating, and jig saws; planers; impact wrenches; die, angle, and bench grinders; shears; nibblers; sanders; laminate trimmers; routers, and plate joiners. Ever had the problem of the drill bit was not long enough to reach what you were trying to drill? This extension set solves that issue. 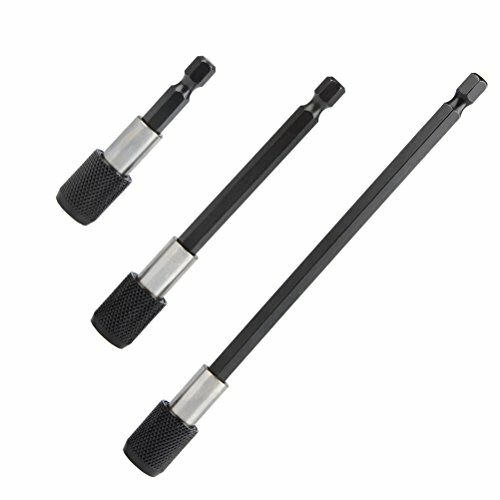 It is a three-piece " Hex Shank set in sizes of 60mm, 100mm and 150mm. That is approximately 2.5", 4" and 6" of added length you can choose from. They are made of chrome vanadium steel (CR-V) and heat treated to provide maximum strength and wear resistance. This set will allow you to get into those tight spaces much easier. It is a nice set for your handyman. 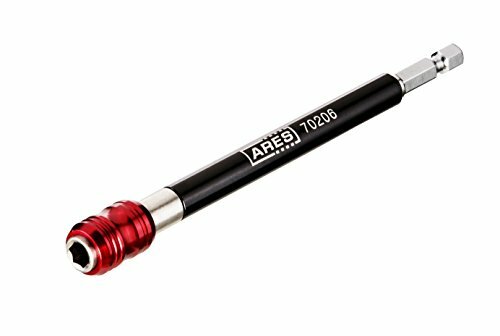 The ARES 6-inch Quick Release Bit Holder has everything you need to get into many hard to reach areas. 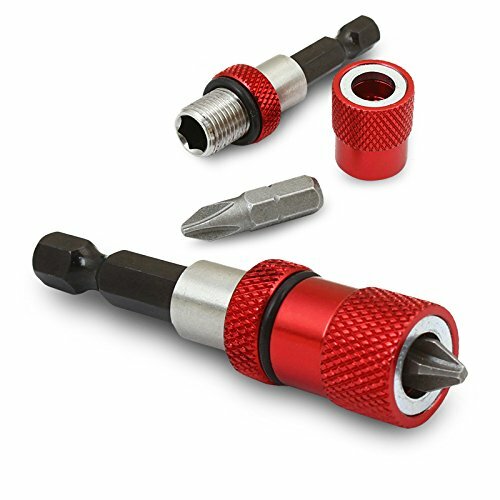 Made of premium Chrome Vanadium steel this bit holder features a red Quick Release Locking Aluminum sleeve with a super strong magnet for superior bit retention. When you're ready to swap the bit out, just push the sleeve up to eject the bit. There's also a free-spinning black sleeve to allow you to stabilize your bit while in use. 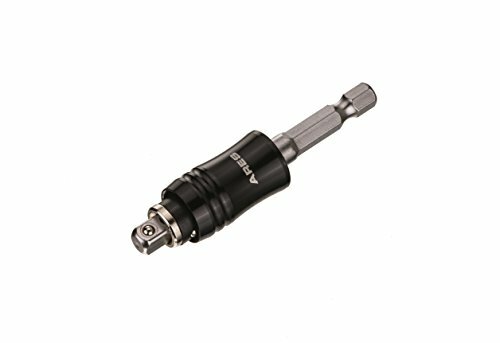 ITEM SPECIFICATIONS: This 1/4-inch Drive Quick Release Bit Holder is constructed from premium Chrome Vanadium steel and features a Quick Release Locking Aluminum sleeve with a super strong magnet for superior bit retention. Our Quick Release Bit Holder also a features a free-spinning black sleeve to allow you to stabilize your bit while in use. The 6-inch-long reach will allow you to get into many harder to reach areas easily! DESIGN CONSIDERATIONS: Our Quick Release Bit Holder works with all 1/4-inch drive bits and features a magnetic locking design that ensures that your bits aren't going anywhere! The ergonomic black outer sleeve rotates freely for maximum stability. HOW IT WORKS: This Quick Release Bit Holder's locking red sleeve combined with the magnetic retention allows you to get into those hard to reach areas without loosing your bits. When you're ready to eject the bit, simply push the sleeve up and you're set to swap it out! RELIABLE | EFFECTIVE | EFFICIENT: Users trust ARES to be quality tools. You are backed by our Performance Assurance Limited Lifetime Warranty. If you have any issues with your ARES 6-inch Quick Release Bit Holder, simply contact customer service for troubleshooting help, parts, replacement, or refund. the shaft can be turned at random. It is also conducive to transportation and storage. DC / hand / pneumatic screwdriver / drilling torque, speed should not be too fast. can be bent, bent shaft, shell and soft rod separation. The shaft rotates only inside, and any point outside is not rotated. appliances and other screwdrivers. Including small space. 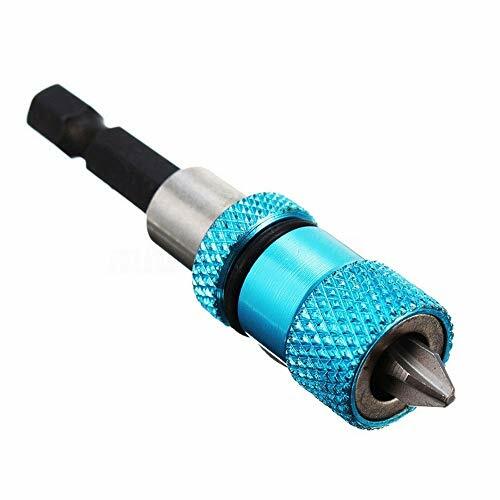 Note: Use with charging screwdriver or power drill (NOT FOR impact drill).if there is no torque adjustment, it is not suitable for drill bit, if no torque adjustment, the screw drill, and the damage of the shaft will continue to rotate. Multi Functional Screw Driver Set Our famirea's flexible shaft is stronger, heavier,firmer than other products in market. It isn't easy to be broken off, and protect your hands. Flexible shaft,ad adapter,magnetic extend drill bit,drill bit receptacle box,Total 12pcs. FLEXIBILITY Flexible shaft made of premium plastic and metal materials, with fine workmanship.flexible shield protects your hands while the internal shaft rotates freely.the screwdriver is freely to bend,twist and turn to use drill into tight and confined spaces where common screwdriver can't work. PRACTICABILITY The 1/4 inch hexagon drill bit holder and connection fit drills well. The great combination is suitable for ordinary hand drill and electric drill with perfect performance. 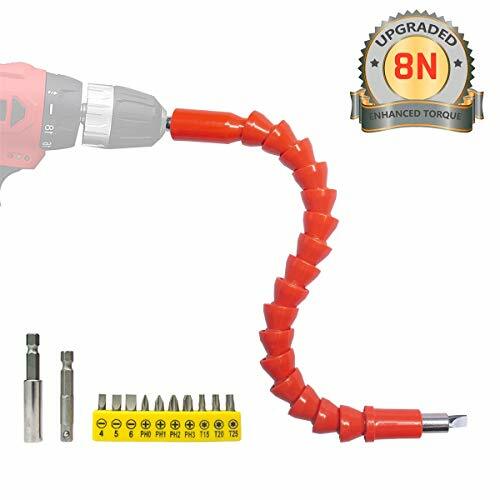 WIDE RANGE OF USE Compatible with small wrench / cordless screwdriver / low speed dc hand drill /pneumatic screwdriver/torque drill / electric screwdriver.mainly used in computer chassis, electrical cabinets, furniture, electrical appliances and other narrow space screwdriver.  Guaranteed If for any reason you are not satisfied, you have a full year to return the item, no questions asked. The ARES 34-Piece Socket Accessory Set includes nearly every adapter, universal joint, bit holder, and bit you'll need to get the job done, complete with the perfect organizer so you can keep it all in one convenient place. The adapters, universal joints, and bit holders are made of high strength, heat treated Chrome Vanadium Steel, and the impact adapters are coated in rust and corrosion-resistant Manganese Phosphate while the rest of the adapters and U-joints feature a corrosion-resistant CRV Nickel/Chrome plated finish with knurling for enhanced grip. The 20 included bits are made of S2 steel, so you know all of these tools will stand up to the job. 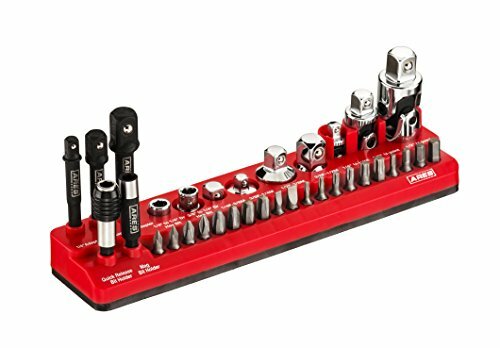 ITEM SPECIFICATIONS: This socket accessory set includes the following: 1/4-inch F to 3/8-inch M Adapter, 3/8-inch F to 1/4-inch M Adapter, 1/2-inch F to 3/8-inch M Adapter, 3/8-inch F to 1/2-inch M Adapter, 1/4-inch U-joint, 3/8-inch U-joint, 1/2-inch U-joint, 1/4-inch Impact Adapter, 3/8-inch Impact Adapter, 1/2-inch Impact Adapter, Magnetic Bit Holder, Quick Release Bit Holder, 1/4-inch to 1/4-inch Spring Bit holder, 3/8-inch to 1/4-inch Hex Spring Bit holder, and 20 Bits. QUALITY ACCESSORIES: The adapters, universal joints, and bit holders are made of high strength, heat treated Chrome Vanadium Steel, and the impact adapters are coated in rust and corrosion-resistant Manganese Phosphate while the rest of the adapters and U-joints feature a corrosion-resistant CRV Nickel/Chrome plated finish with knurling for enhanced grip. The 25mm bits are made of high strength S2 steel. QUALITY STORAGE: This set also includes a high quality magnetic socket holder designed to securely store 34 of your favorite socket accessories, while a soft, rubberized covering over the bottom of the tray prevents damage to finished surfaces. Made from heavy duty, high impact ABS plastic, this organizer features powerful magnets to hold your accessories in place. Your tools aren't going anywhere! RELIABLE | EFFECTIVE | EFFICIENT: Users trust ARES to be quality tools. You are backed by our Performance Assurance Limited Lifetime Warranty. If you have any issues with your ARES 34-Piece Socket Accessory Set, simply contact customer service for troubleshooting help, parts, replacement, or refund. 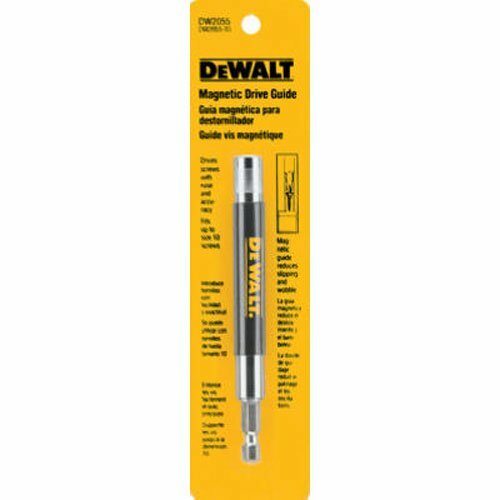 The DEWALT DWA3HLDIR Flexor 3" IMPACT READY Bit Tip Holder w/Screw lock System is CNC machined, resulting in accurate manufacturing for optimal fit into the screw recess. A reflex core allows 2" bits to flex up to 15-degrees to reduce breakage. These bits are a part of the 10X Magnetic Screw Lock System for fastener retention which minimizes drops and reduces wobbling. Impact ready bits with Flexor have increased durability for longer life. The ARES 2-in-1 Socket Bit Holder takes the hassle out of changing between a bit and socket holder with its simple push-pull quick change mechanism. Made of high quality Chrome Vanadium steel for a lifetime of durability, all you have to do is pull the sleeve down to expose the 1/4-inch drive socket holder or pull it up to use your favorite 1/4-inch drive bits. It's that easy. HOW IT WORKS: Bits and sockets can be easily changed via a push-pull mechanism. Pull the sleeve down to expose the 1/4-inch drive socket holder, and pull the sleeve up to retain your favorite 1/4-inch drive bits. This tool can do it all! DESIGN CONSIDERATIONS: Our 2-in-1 socket and bit holder is constructed from high quality Chrome Vanadium Steel and works with 1/4-inch drive bits and 1/4-inch drive sockets. WHY YOU NEED IT: This tool helps you get the work done faster by eliminating most of the time it takes to change between a bit holder and socket holder. With a simple push or pull of the sleeve, you're ready to get back to work! Get the job done now with ARES! RELIABLE | EFFECTIVE | EFFICIENT: Users trust ARES to be quality tools. You are backed by our Performance Assurance Limited Lifetime Warranty. If you have any issues with your ARES 2-in-1 Socket Bit Holder, simply contact customer service for troubleshooting help, parts, replacement, or refund. 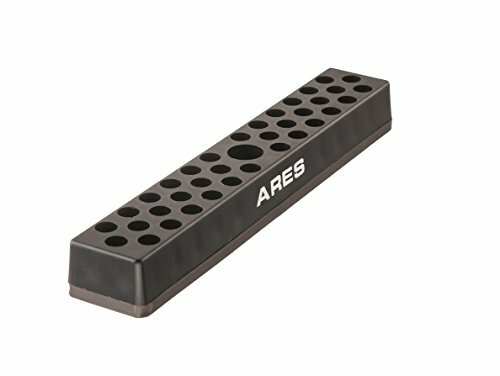 The ARES Hex Bit Organizer has 37 holes you can use to store and organize all of your favorite specialty, drill, tamper, and quick change 1/4-inch shank bits. The organizer has a strong magnetic base with rubber coating to prevent scratches to finished surfaces and keep your bits firmly in place, so you'll never have to go searching for them in your tool box, and its compact size makes it easy to store almost anywhere. DESIGN CONSIDERATIONS: This hex bit organizer has a strong magnetic base with a rubber coating to prevent scratches to finished surfaces, and the holder is 1.25 inches x 7 inches x .81 inches, so it can be stored almost anywhere you need it to be. The holder securely holds up to 37 1/4-inch shank bits. WHY YOU NEED IT: There are a proliferation of different bits available. Usually when we purchase them, they come in a cheap holder that gets lost or worn out in a short amount of time. This holder will give them a permanent home and make them accessible any time you need them. Don't lose the bits you really want! THE QUALITY YOU NEED: The magnet will keep your bits in place, but not to the extent that you need the jaws of life to pull them out. Go ahead and finally get your bits organized. You'll be glad you did. RELIABLE | EFFECTIVE | EFFICIENT: Users trust ARES to be quality tools. You are backed by our Performance Assurance Limited Lifetime Warranty. If you have any issues with your ARES hex bit organizer, simply contact customer service for troubleshooting help, parts, replacement, or refund. This bit holder is an essential accessory to many 20V Max DeWalt Drill/Hammerdrill/Impact Driver models. The clip is made from hardened plastic & stainless steel and can be installed on either side of your DeWalt drill. This part is sold as a kit and includes the bit holder and the attaching screw. 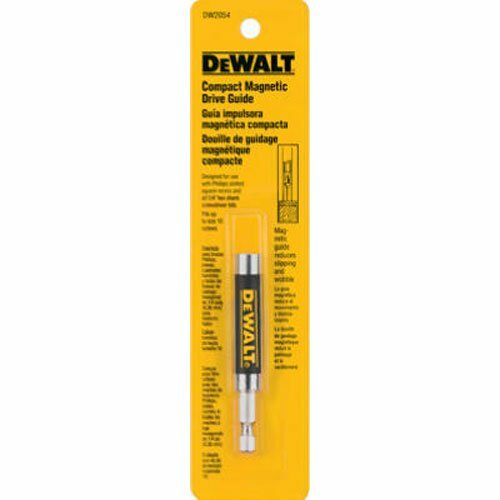 These are genuine DeWalt parts, and are compatible with the following 20V models: DCD740C1, DCD780C2, DCD785C2, DCD980L2, DCD985L2, DCF885C2, DCF885L2, DCD740, DCD780, DCD785, DCD980, DCD985, DCF885 and DCL040. Applicability: It is an important tool for hardware maintenance and repair, including computer chassis, electrical cabinets, furniture, electrical appliances, etc. 6" magnetic drive guide, Bulk. 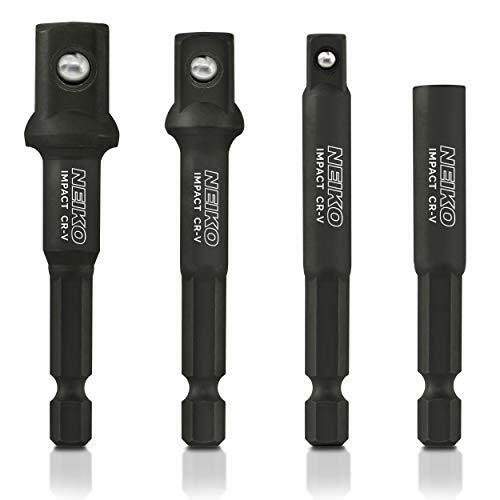 1/4" Hex shaft screwdriver extension, convenient, durable, long lasting and easy to use. It's good for wrench and power drill, rechargeable drill or manual wrench.Light weight, fast, connect to the standard hex screwdriver. Functional head has locking & magnetic function, 105 Degree right angle head. Use with charging screwdriver or power drill. The maximum torque of this 105 degree Angle Driver adapter is 10N and it is only for right angle head. Note: Please adjust the torque to a minimum when using the electric screwdriver. Do not rely on it to tighten the screws if the hand drill is used. Finally, you must tighten the angle driver adapter manually, or the gear will be broken off. Suitable for Quick Change 1/4" Chuck Systems or Directly into Drill Chuck. Turns any power/cordless drill into a power nut driver. Handy for Fast Driving of Nuts, Bolts and Fixings, etc. Spring Loaded Ball Bearing on Head Holds Sockets Securely. Widely used in home DIY, carpentry, auto parts, specializing in machine repair and so on. Warranty :If the product has any quality problems within 3 years, please feel free to contact us before you make an evaluation. , we will give a full refund. Thank you for your cooperation. We provide 7 * 24 hours of customer service to facilitate customers. Package included 3Piece 1/4 3/8 1/2 Socket Bit Hex Shank Adapter Drill Nut Driver Power Extension Bar+1-Piece 105 Degree Right Angle Driver Drill Attachment.Different colour coded rings, clear help quickly pick the right one.Our products belong to the latest upgrades, quality is super good.Christmas Gift for Dad/Father,Husband, Boyfriend, Men,DIY. High Quality 105 Angle Extension Made of Chrome Vanadium steel, high hardness angle drill bit holder, anti rust, durable die cast body with 3 ball bearings for long life.Built in strong magnet for good holding power, this right angle drill attachment is easy to use and avoid falling off.105 degree angle extension, 360 parallel adjustment, perfect handy tool for hard-to-reach corners and tight spaces, max torque 15n/m. 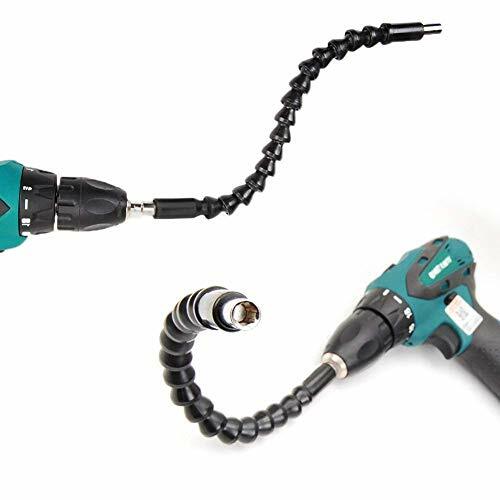 Wide application-105 Right Angle Drill Driver Can be connected to the drill, rechargeable drill or manual wrench, extending their reach to inaccessible stenosis , twisting screws, nut and more.105 designs for tight spaces, extends the power of a cordless screwdriver - 100 in/lbs. torque, 400 RPM.These Tools are Work Great for Light Drilling,Slow Speed/Screw Driving,Like Cordless Drill,Ratchet Hand Screwdriver,etc. 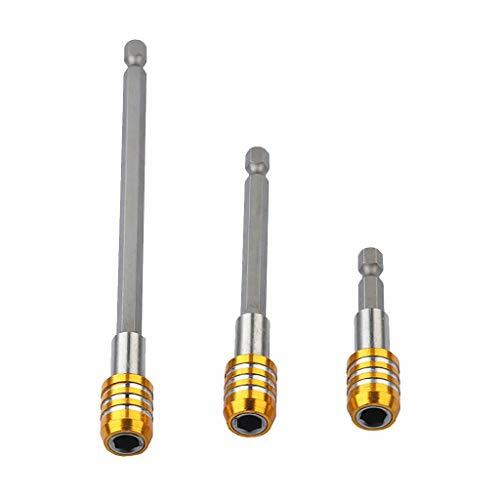 Multifunction-3Pcs1/4 3/8 1/2Square Nut Hex Shank Driver Drill Bit Used in the installation of pneumatic screwdriver, electric screwdriver, pneumatic drill, manual screwdriver and other installation for the hexagonal tool .It is a good accessory for conversion. for Universal Socket,Impact Adapter and Reducer Set,Universal Joint Set,Socket Adapter and Drive Reducer Set,Drive Impact Socket Extension Bar Set,Drive Impact Socket Set. Fit any standard size screwdriver bit any make any model. 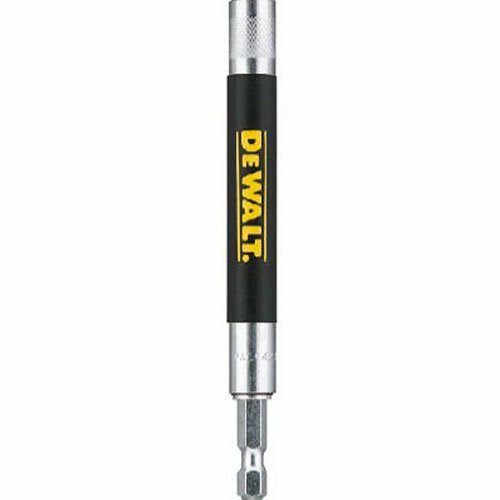 Suitable for Electric, pneumatic screwdrivers and other screwdriver bits of power tools drill extended. High quality tool steel for good durability and high shock resistance. Heavy duty construction for fastening capabilities in all impacts. 1/2 square to 1/4 hex rapid load adapter for power tools. 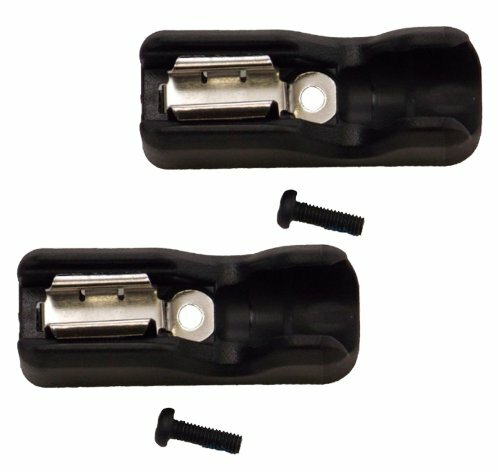 Adapter securely holds any 1/4 hex-shank bits. Convert air or power impact wrench into a drill or ratcheting wrench into a driver. Easy to use, quick install and release. Quick-release mechanism allows for easy, one-handed swapping between bits while working. 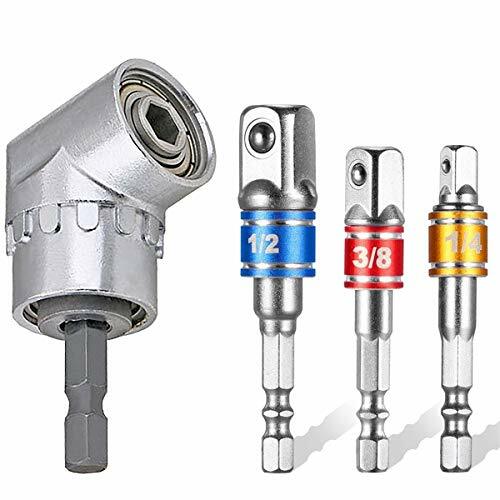 Package include: 1 x 1/2 square fmale drive to 1/4 hex female socket adapter, 1 x double ended magnetic phillips PH2 drill bit. Brand new Color: Blue/Red Dimension:Approx. 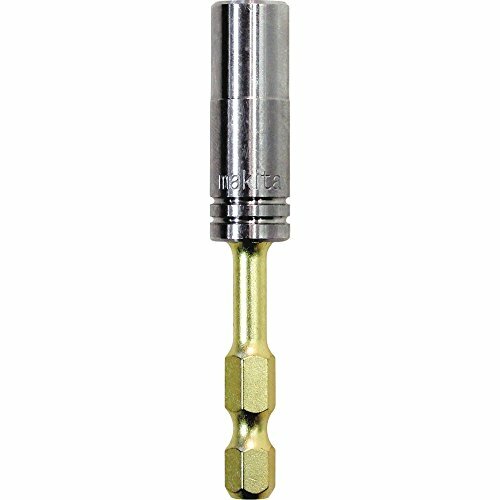 60mm x 14mm 1/4" Hex Driver w/ PH# 2 Bit Adjustable Screw Depth Bit Holder w/ Magnet Hardened Nickel Plated Shaft,Stainless Construction Bit Holder Super Strong Magnetic Tip & Adj Depth Always Hold Screw in Straight The adjustable magnetic bit holder makes a great addition to any impact drivers of drills.It saves a great amount of time by quickly drilling screws.The hardened nickel plated shaft and stainless body ensures a long lasting product while the super strong magnetic tip holds screws in place and reduces any wobbling and minimizes dropping.The adjustable feature eliminates any guess work involved and sets your screws in straight at a predetermined depth. Please allow minor deviation due to manual measurement. Due to the difference between different monitors, the picture may not reflect the actual color of the item. We provide one year of after-sales guarantee, if you have any questions, please feel free to contact us and reply within 24 hours. Length: Approx. 60mm/2.36" 100mm/3.94" 150mm/5.91"